Production of the Grand Seiko line ran for 12 years. 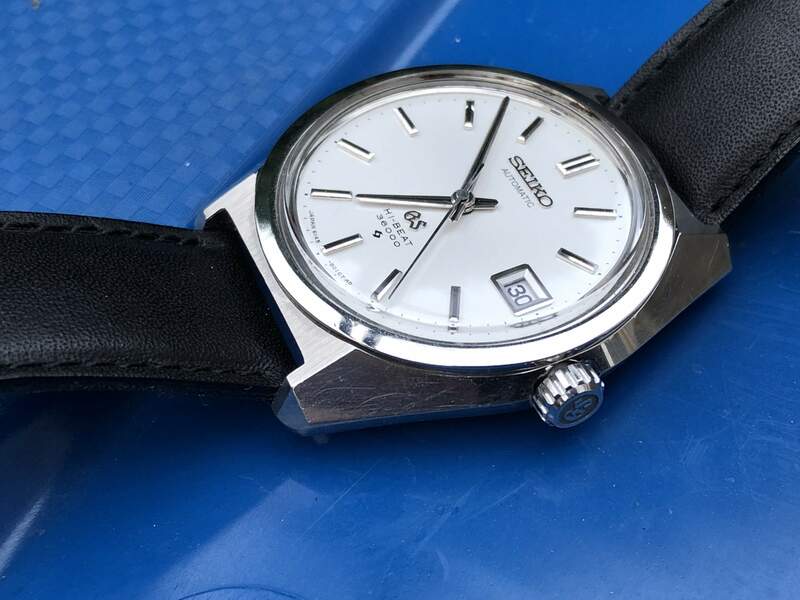 The first Grand Seiko was produced on December 18th 1960 while the last one was made in 1972. The Suwa Seikosha division produced most of the Grand Seiko watches, except for the 44GS, 45GS, and 45GS VFA movements, which were created by its Daini Seikosha division. The two companies were Seiko’s subsidiaries which produced one brand to improve technology and hedge risk amid tough competition. If one experienced problems in production, the other would simply increase production. 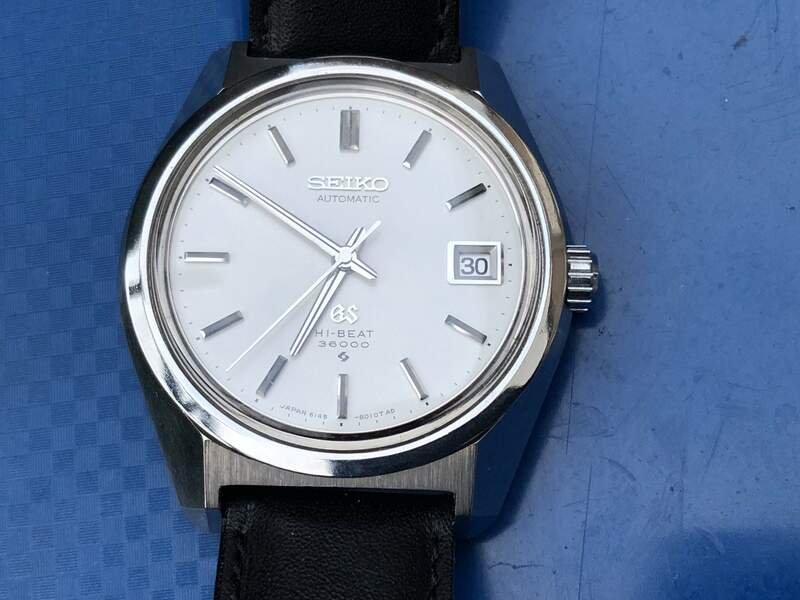 Suwa Seikosha became Seiko Epson Corporation, while Daini Seikosha became Seiko Instruments Inc.
Seiko started manufacturing its first-generation Grand Seiko 3180 model in December 1960 at the company’s Suwa factory in Nagano prefecture in central Japan. 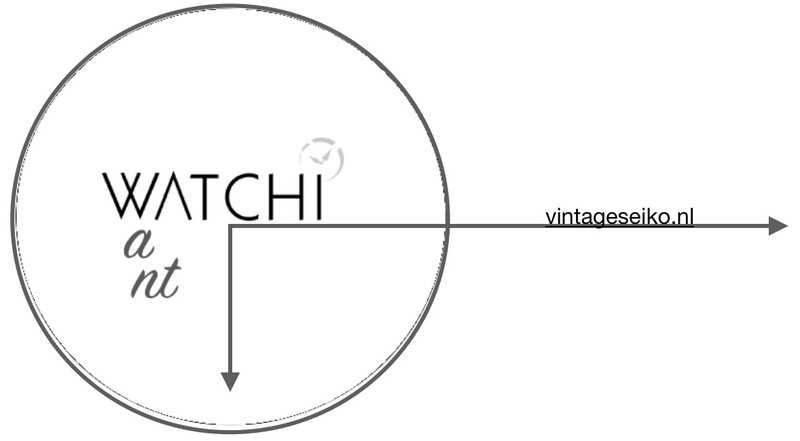 A total of 36,000 units of the first generation watch were created. The 57GS movement followed in 1963 with 81,000 units manufactured. Afterward, Seiko produced the 44GS and 62GS movements. Of the 61GS line, released in December 1967, Seiko created just 36,000 units. This was followed by the 45GS, 45GS VFA, 19GS, and 19GS VFA movements from 1968 toward 1970. 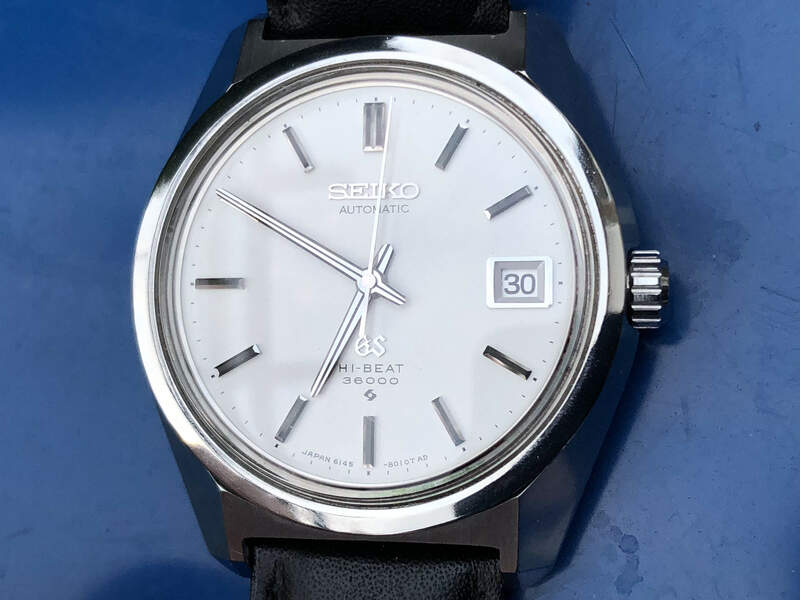 Finally, Seiko released the last model of the line, a mechanical 56GS, in 1972. The 61GS movement is one of Seikos finest, a 25 jewel automatic hi-beat that operates at 36,000bph, made at their Suwa factory. It can also be wound manually, and has a hacking feature. It is finished to a high level, with a nicely decorated rotor. The 61GS movement achieved the Seiko internal GS standard approval, which was adjusted to be within -3/+5 sec/day when it left the factory. 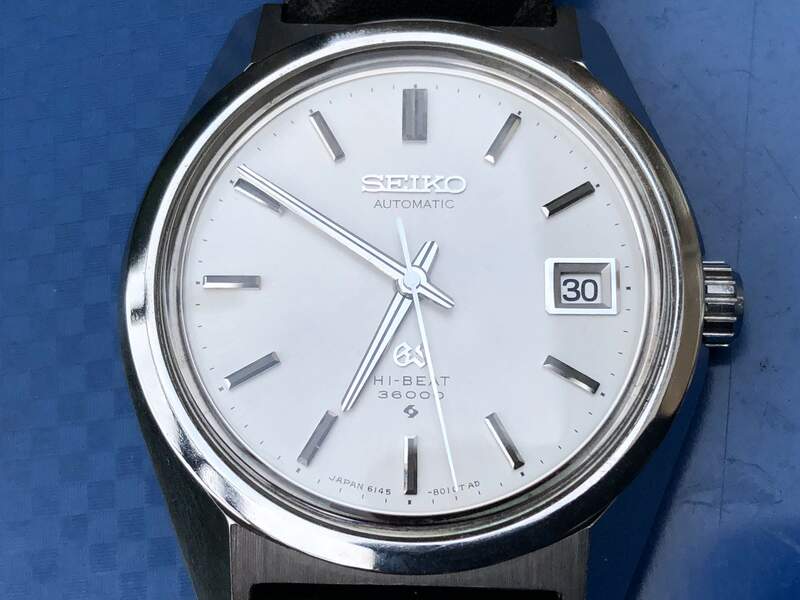 The early 614X-8000 model had Grand Seiko written on the dial which was marked 8000TAD at 6 o'clock. The movement was marked 614XA and both GS (sometimes) and Grand Seiko on the rotor. There was a gold cap version of this model also. 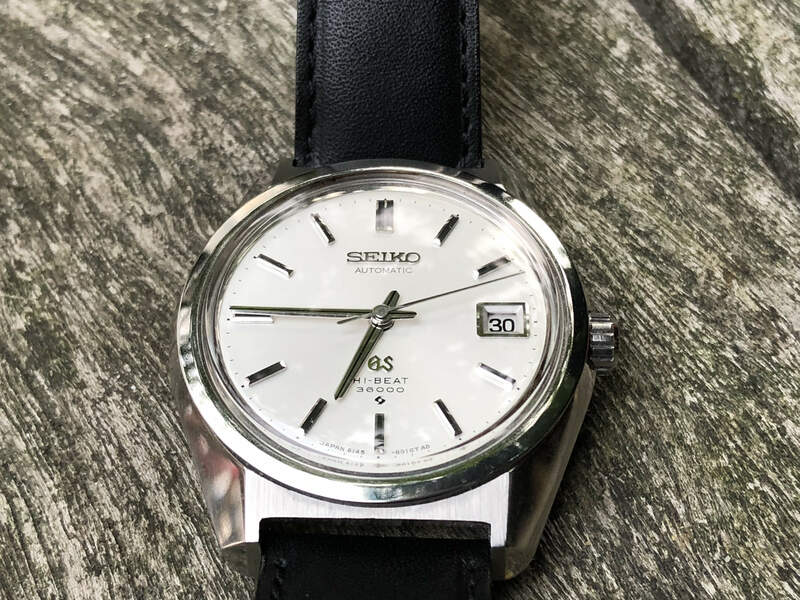 Later models had automatic under Seiko and also dispensed with Grand Seiko and had Hi Beat 36000 instead, and 8010TAD at the bottom of the dial. The rotor was marked Seiko. 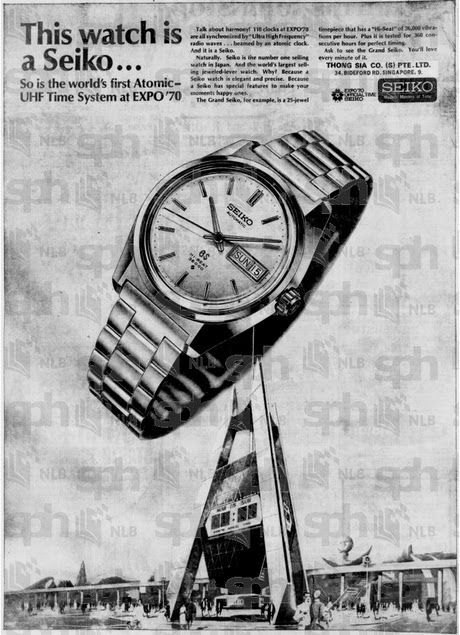 Seiko’s design concept for all the Grand Seiko was to create the “ideal watch,” which meant “nothing less than the best luxury watch in the world." 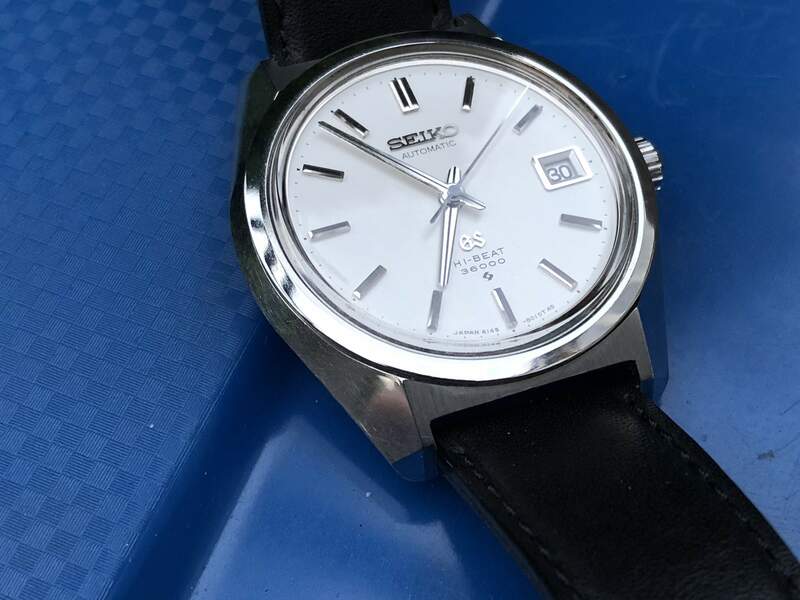 For the company, this meant the Grand Seiko should have its own unique style that would resonate with the high-end market. Specifically, Seiko wanted the Grand Seiko’s style to suit both casual and formal attires. When the original Grand Seiko watch was created in 1960 by the company’s Suwa Seikosha division, its focus was on quality mechanics. 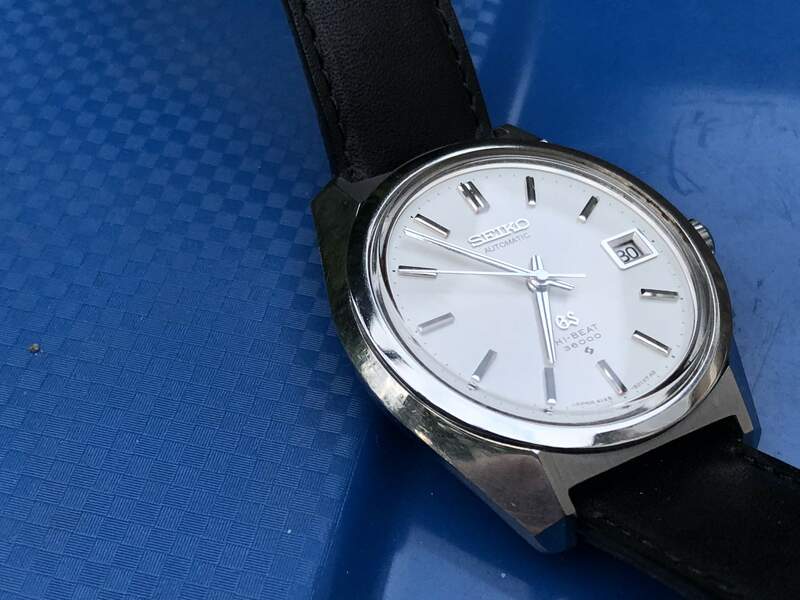 It wasn’t until 1967 when the 44GS movement was released that the “Grand Seiko Style” by designer Taro Tanaka would from then on define the style of the series as well as all future Seiko products. The Grand Seiko range is also highly valued for its craftsmanship, particularly the traditional way in which the watches are created. Every Grand Seiko watch was polished by hand using the “Zaratsu” technique. This is a traditional way of polishing that Japanese watchmakers use to create watches that have a mirror finish with no distortion.